BEDFORD — Police Chief Robert Bongiorno and Fire Chief David Grunes report that a cyclist was injured following a hit-and-run crash with a vehicle late Tuesday afternoon. Shortly before 6 p.m. on Tuesday, June 20, a cyclist traveling on Carlisle Road (Route 225) was struck by a silver hatchback vehicle at the bridge crossing the Carlisle town line. 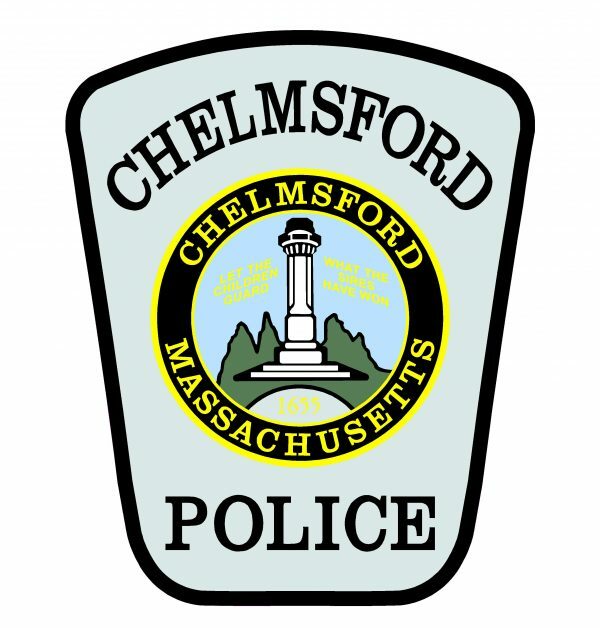 The cyclist, a 63-year-old male from Carlisle, suffered serious injuries and was transported to an area hospital by the Bedford Fire Department. The Bedford Police Department is actively seeking the vehicle involved, which is believed to be a silver or gray hatchback sedan—possibly a Honda Civic—with a material resembling bedding or sheets covering the rear window. BEDFORD — Chief David Grunes is pleased to announce that the Bedford Fire Department and State Fire Marshal Peter Ostroskey will honor a 9-year-old resident as a Student Awareness of Fire Education (S.A.F.E.) “Young Hero” after he used fire safety skills to evacuate his family from their home when the smoke alarms began to sound. Friday, Feb. 17 at 9:30 a.m.
On Friday, December 23, 2016 at approximately 9:20 p.m., 9-year-old Jacoby Garber was at his house, 2 Pond Circle, playing a game with his father in the family room, which is above the home’s garage, when the smoke alarms began to sound. Two months earlier during Fire Prevention month, Rob Ackerman, Principal of the Lt. Job Lane Elementary School, welcomed Bedford Firefighter Nick Anderson to talk to third grade students about fire safety as part of the S.A.F.E. program, which is supported by the Department of Fire Services. Utilizing the information he learned in the class, Jacoby dialed 911 and was connected to Bedford Emergency Communications Officer Maryellen Brickey. He then clearly and calmly stated his name, address and described the problem to Brickey, just as he was taught by Firefighter Anderson. Upon arrival to the home, firefighters found an involved fire in the attached garage, which they were able to quickly extinguish. Heat damage was contained to the garage and the remainder of the home sustained some smoke damage. No injuries were reported. To recognize Jacoby’s actions, State Fire Marshal Ostroskey will present him with a S.A.F.E. “Young Heroes” award. Since the program launched in 1995, more than 340 children have been recognized for putting into practice the fire and life safety lessons they learned in the classroom during a real-life emergency to save themselves or others. As part of the awards presentation, Firefighter Anderson will play a portion of the 911 recording. The Student Awareness of Fire Education (S.A.F.E.) grant program is given to local fire departments that pair trained firefighter-educators with classroom teachers to conduct fire safety education in grades pre-kindergarten through 12. The primary mission of S.A.F.E. is to teach children key behaviors so they can prevent fires, survive those that do occur and respond correctly to emergencies. S.A.F.E. trains firefighters to deliver age-appropriate fire and life safety lessons in close coordination with classroom teachers and health educators. It is managed by the Massachusetts Department of Fire Services. BEDFORD — Chief David Grunes reports that the Bedford Fire Department responded to an apartment building Sunday night after a sprinkler pipe burst, forcing an evacuation. Firefighters arrived at 6000 Taylor Pond Lane around 9 p.m. Upon arrival, units found that a sprinkler pipe had burst in the attic of the 30-unit building, and water was flowing into the light fixtures and walls. Crews were able to turn off the water supply, and the power was shut-off in six affected units, which sustained significant water damage. The property owner relocated the residents of all six units for the evening. Chief Grunes would like to praise The Bozzuto Group, the property management company, for its quick response and for finding warm accommodations for residents in need. This incident capped a very busy Sunday for the Bedford Fire Department, where crews responded to four serious incidents, several traffic matters, and the usual alarms and medical calls that are encountered without a major storm bearing down on the region. BEDFORD — Chief David Grunes announces that the Bedford Fire Department has recently adopted a new cardiac arrest treatment protocol to increase the survival rate for out-of-hospital cardiac arrest patients and improve their neurological outcomes. The cardio-cerebral resuscitation (CCR) protocol instructs EMTs and paramedics to initiate effective chest compressions for up to eight minutes prior to administering active ventilations and moving the person. This has been shown to maintain the viability of the heart and brain. Previous treatment included airway interventions during initial resuscitation and attempting to transport the patient sooner, which disturbs resuscitation and may lead to decreased survival rates. The CCR protocol has been found to have the most success on adult patients who have experienced cardiac arrest with a certain type of heart arrhythmia and who receive immediate medical attention. This protocol will not be used on minors under 18 years old. Going forward, residents, bystanders and family members should be aware that they may see an extended on-scene time by emergency personnel. However, research shows that the extra few minutes spent performing high quality CCR significantly improves survival compared to standard advance life support. If you have any questions regarding the Bedford Fire Department EMS system or the new CCR protocol, please contact the Bedford Fire Department at 781-275-7262.